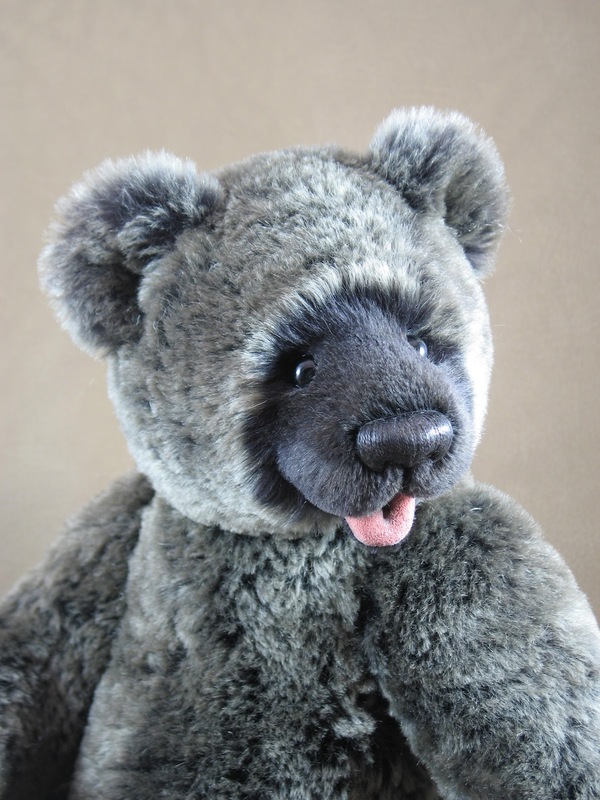 In a recent discussion on The Guild of Master Bear Crafters forum, several artists mentioned a drive to create the "perfect bear" as a motivating factor in their work. Many also mentioned that this drive can be discouraging as well. I think it is interesting to see how many people express the need to make the ever elusive "perfect bear". In the Guild and elsewhere, I have read this same sentiment from bear artists over and over. It seems almost universal. It is as if there is a “Perfect Bear” jogging along ahead on the path, pausing now and then, but always darting out of reach again when one gets close. What a frustrating little bugger he is! This is a little strange to me, because while I can understand looking at one's work with a critical eye to see what can be improved upon, I don't think I have ever expected perfection- I only expect to do my best. I saw this nugget of wisdom on the website of one of our guild members, Kelly Dean. “Always be happy with your work; never be satisfied." It resonated with me because it is exactly how I feel. 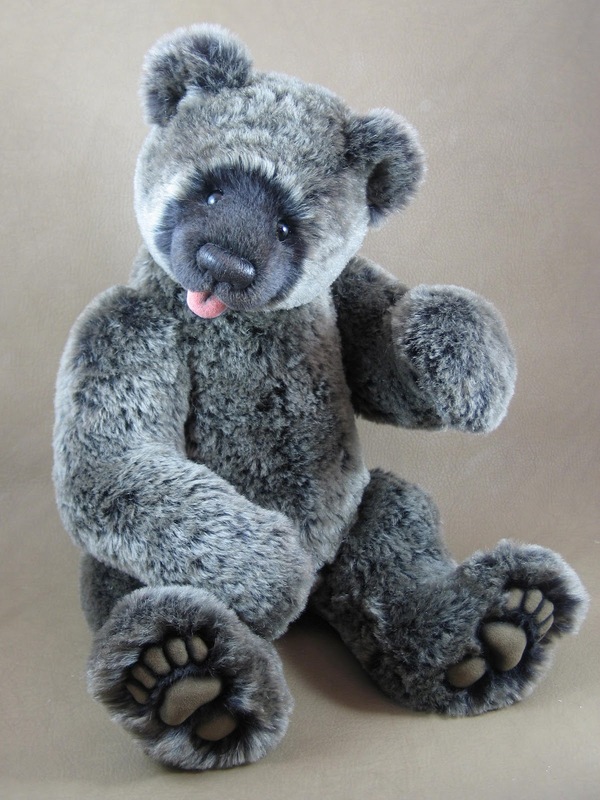 Each bear, or doll, or drawing, or painting that I call finished, makes me happy. If not, I would say it was not finished. 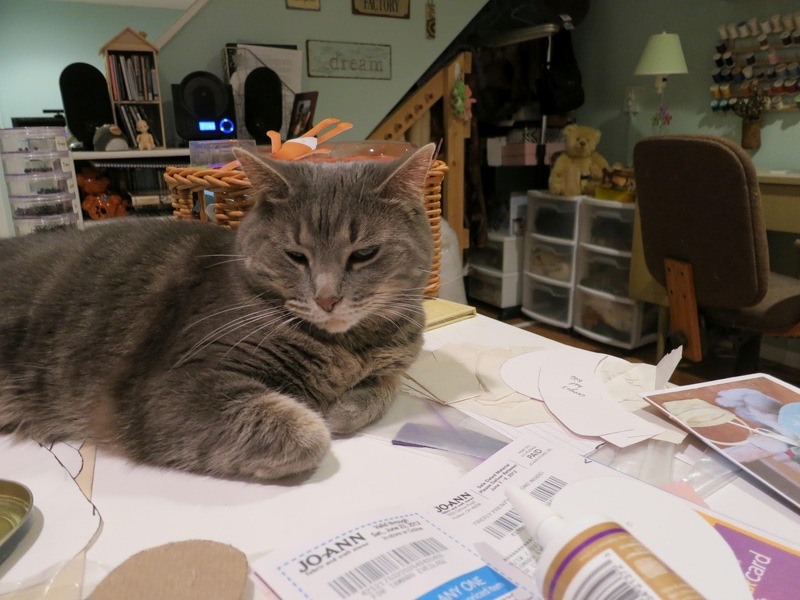 There are things which do not get finished because I can see by where they are headed they are not going to make me happy--the basket of failed kitten parts in my studio from my recent foray into feline design is a case in point! Happiness isn’t complacency—my work is not stagnant. Even though I am happy with it at the time, my work does grow and improve. I think my best work today is better than my best work a few years ago. I'm sure any one of us who has been doing this ten years or more can look back at something we did ten (or even five) years ago and see growth. And the more you do something, the pickier you become. 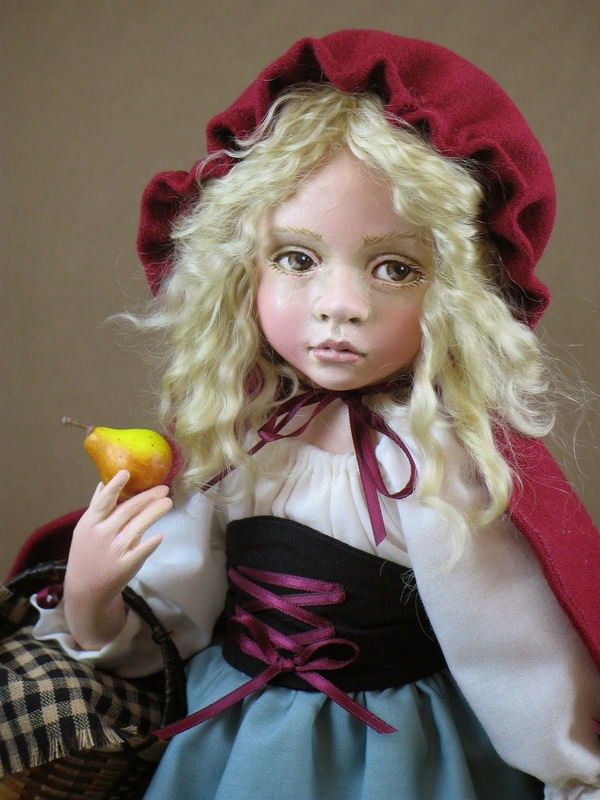 I have one of the first dolls that I sculpted hidden at the back of a shelf in my studio. There is so much wrong with her, I cringe when I see her today. But I am also amused, because I recall positively blushing with pride when I brought her home from the workshop to show my husband! Another example of this is the portrait painting class I have been taking. After doing three paintings of the models who sit for the class, I painted a portrait of my son. 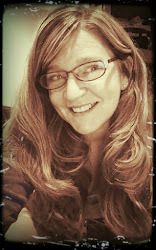 I was so very happy with it. I felt like I had really captured a likeness of Brendan at age 5. When my instructor was critiquing it at the end, she said, “It is a very good painting for where you are now.” And “This will not be your best painting.” My mom, who was taking the class with me, wondered if I might take offense at these comments. I didn’t. I knew exactly what she meant. If I keep painting, I will get better. However, the knowledge that better paintings were in my future did not diminish the happiness I felt for the best painting I had done so far. Perhaps it is all a matter of semantics. It really is the same thing, I suppose. Some artists are chasing “Perfect Bear” and I am chasing “My Best” and both are leading us on a path to improve our work. There is a difference though. Perfect Bear keeps right on running with barely a backward glance, but My Best stops every now and then to offer a congratulatory hug before he takes off down the path again! 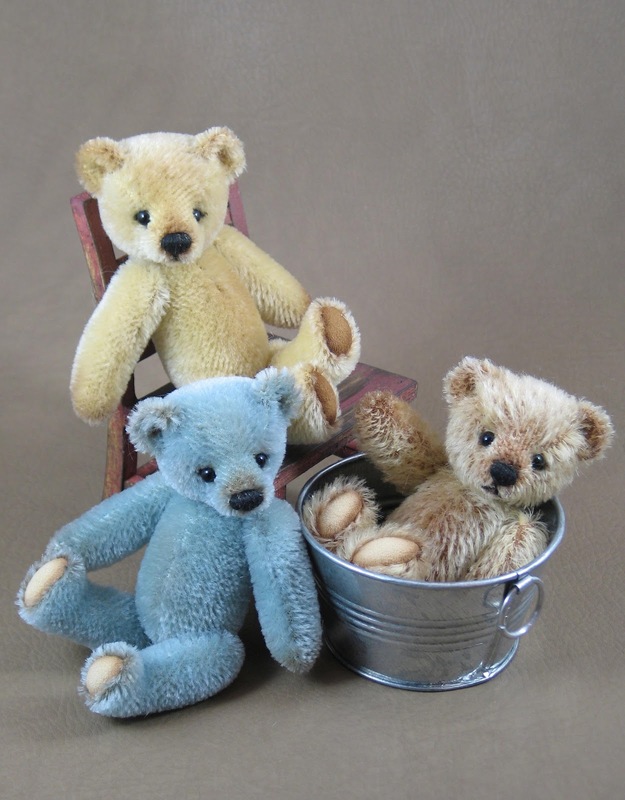 The Friends of Teddy Online show at http://www.teddiesworldwide.com/ is now open! So now I can show you what I have been making... I hope you enjoy seeing them. 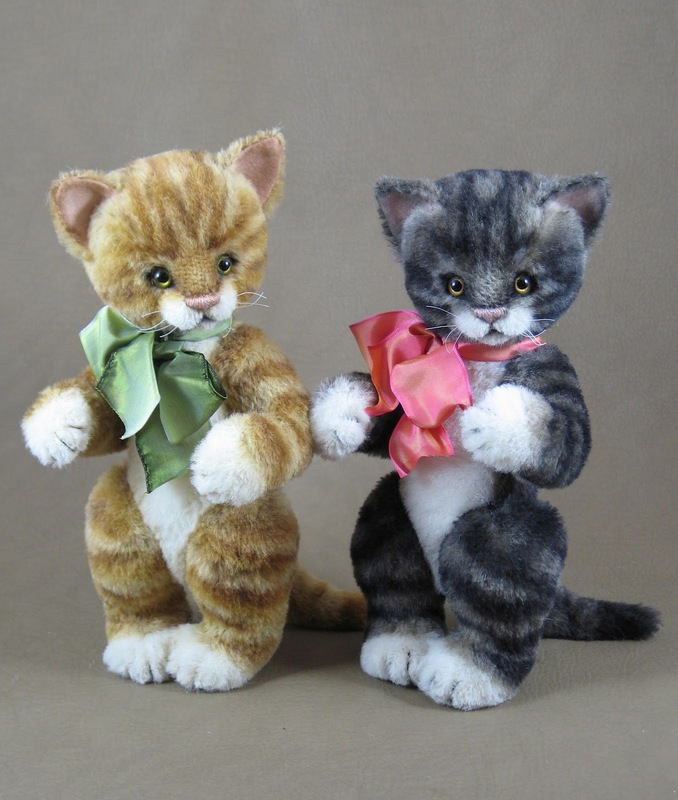 They are available right now at the online show! 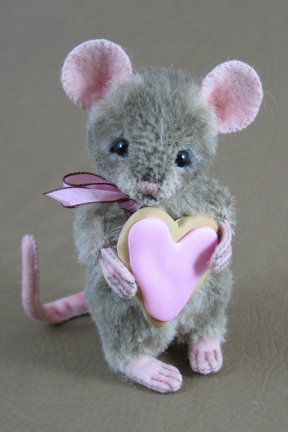 I have been very busy in the studio working on some new designs for the Friends of Teddy online show at http://www.teddiesworldwide.com/ . The focus of this show is animals other than Teddy Bears. 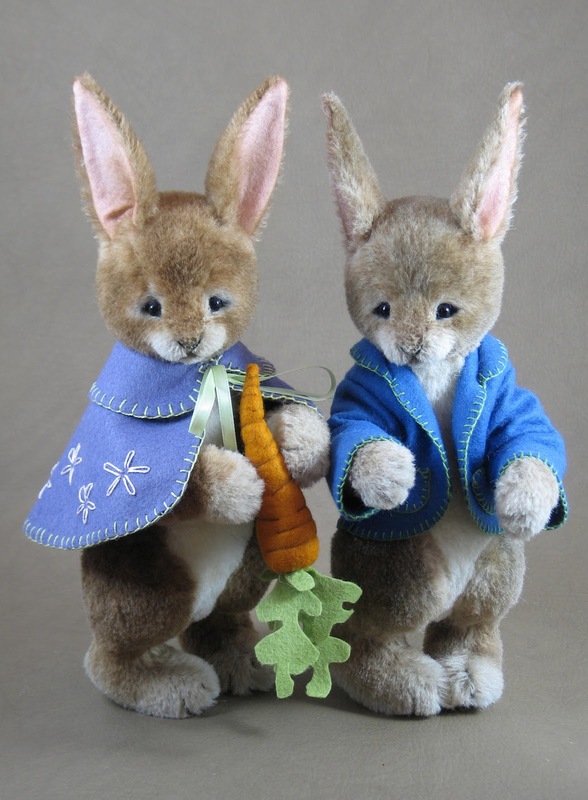 For some artists who specialize in other soft sculpture animals, this show is a chance to highlight their work. For artists lke me, who specialize in Teddy Bears, this show has been a chance to branch out and stretch our creative muscles! I have had a blast! 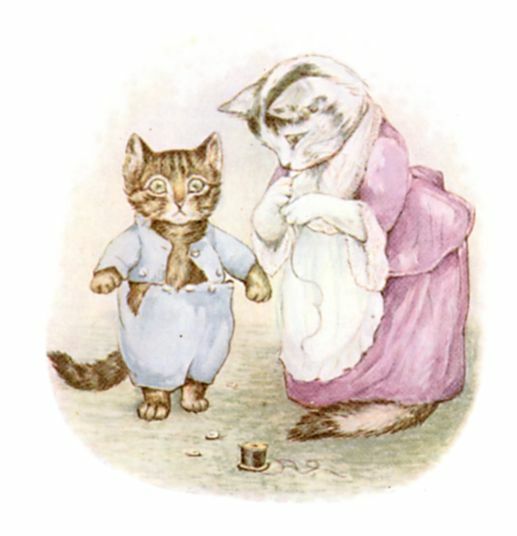 I thought right away that I would like to try a kitten and I looked at some illustrations from one of my favorite children's book for inspiration. Of course the best inspiration sits right in front of me in my studio always! 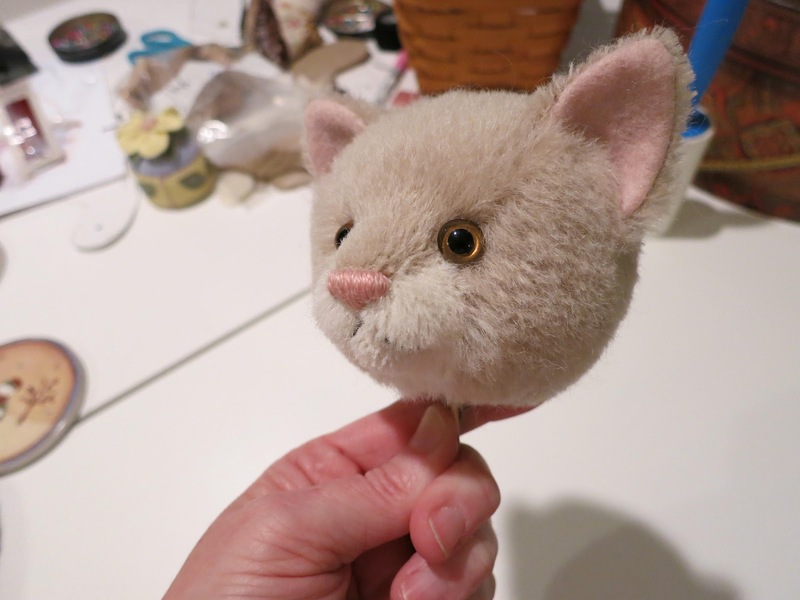 I made the head pattern and thought it was an instant success, but I had to draft two bodies and three hind leg patterns before I got that part right! 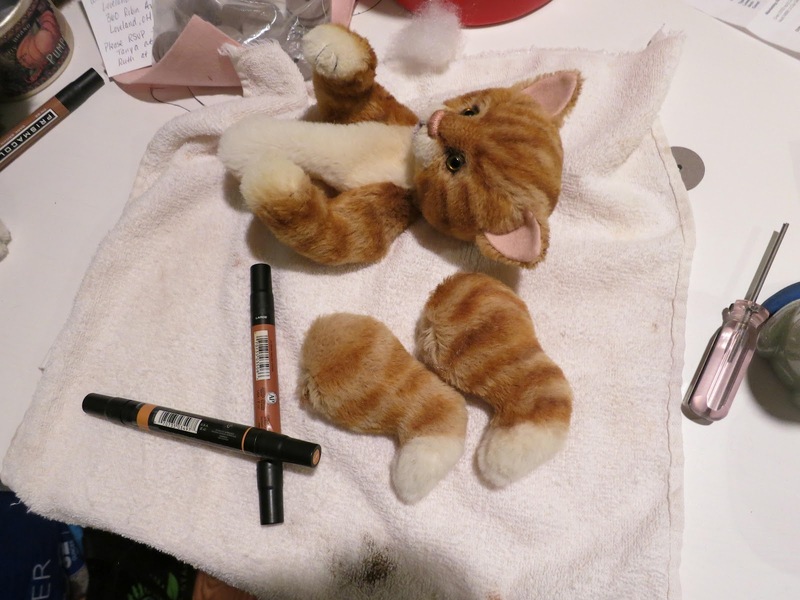 Another challenge (which I didn't anticipate) was in coloring the kitten. I use an airbrush to accent my bears and it has always worked great. But I found that since I was applying so much color, the alpaca seemed to resist the color. It seemed to rub off as the parts were handled. Since I usually just used the airbrush color around the eyes and mouth (areas not handled) on my bears, this issue had not come up before. 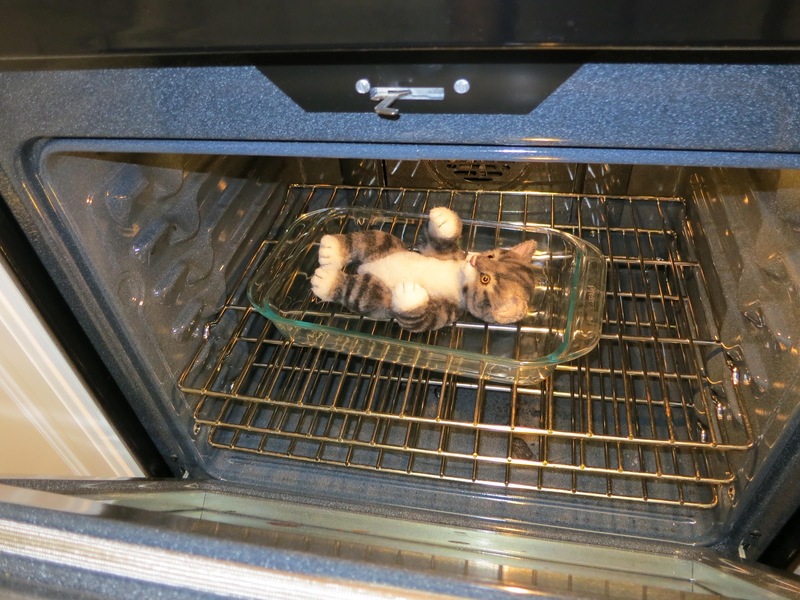 I could typically heat the fur with a hair dfryer to set the color, but since this wasn't working, I put the unfortunate kitten in the oven!!! Poor Kitty! That was an improvement, but the stripes were still coming off. I finally thought of art markers. These Prismacolor fine are pens are an alcohol based permenant ink! It works and they come in many colors. 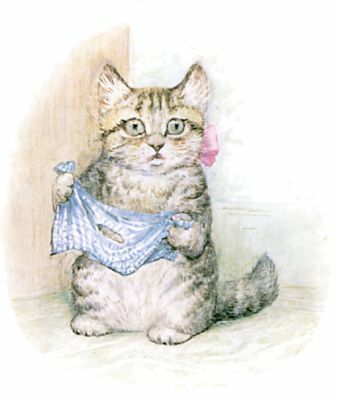 The parts were colored in many layers and the tabby striping done last. It takes a lot of time, but I am so pleased with the results. And here is my show preview piece finally finished! 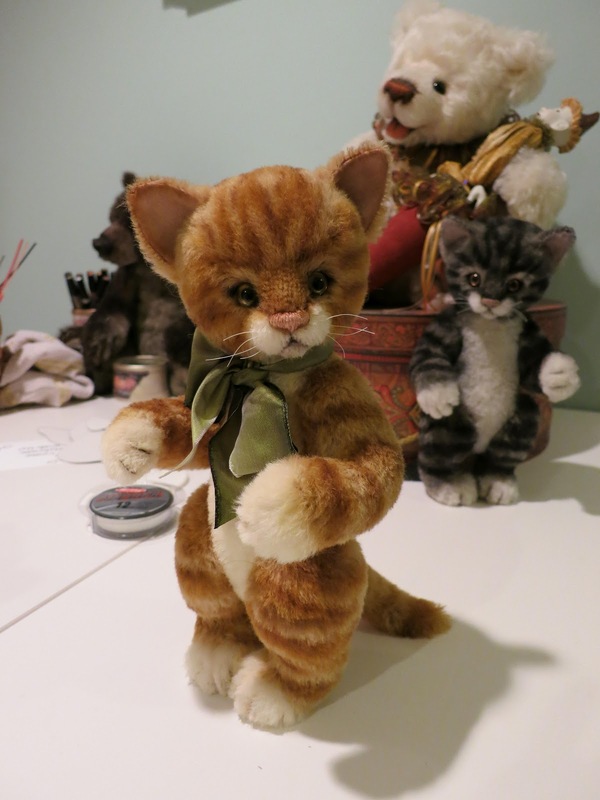 The airbrushed prototype kitten lurks in the background. 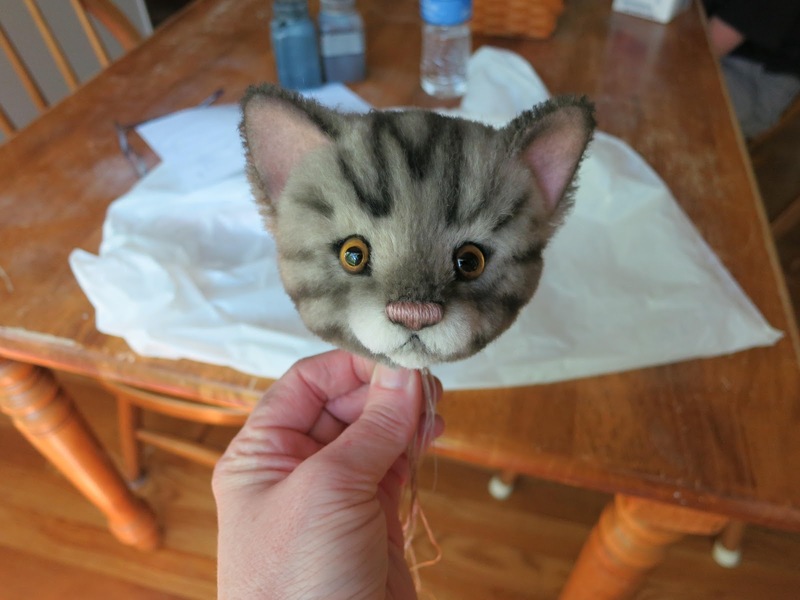 Since he is "flawed" --the poor dear, I have decided to keep him for myself and just handle him with care, but I have made another gray tabby using the permenant fine art pens for the show. 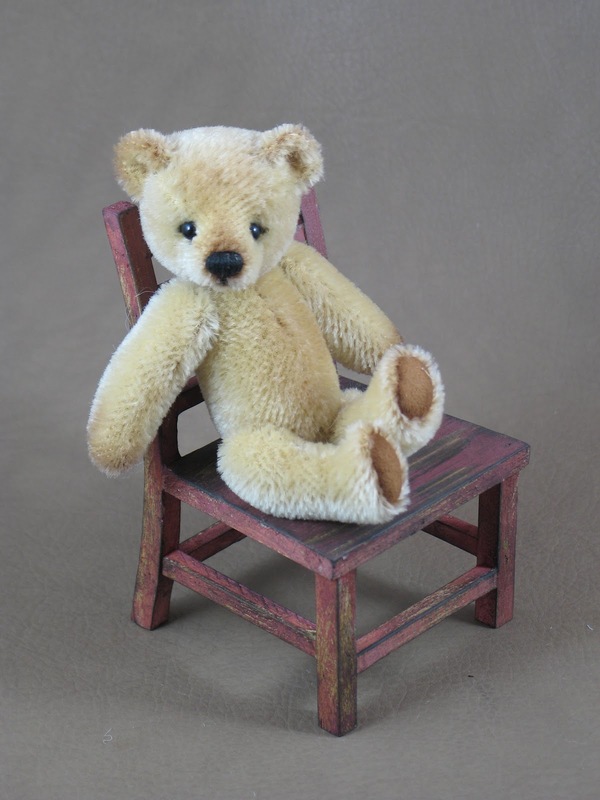 The Friends of Teddy online show and sale starts tomorrow at﻿ 4:00pm Easter Standard Time, but you can visit the preview right now at http://www.teddiesworldwide.com/ ! Hope to see you at the show!